Video: Back in the '50s and '60s, your home wasn't complete if you didn't have your own fallout shelter. This classic educational video shows you how to build your own. 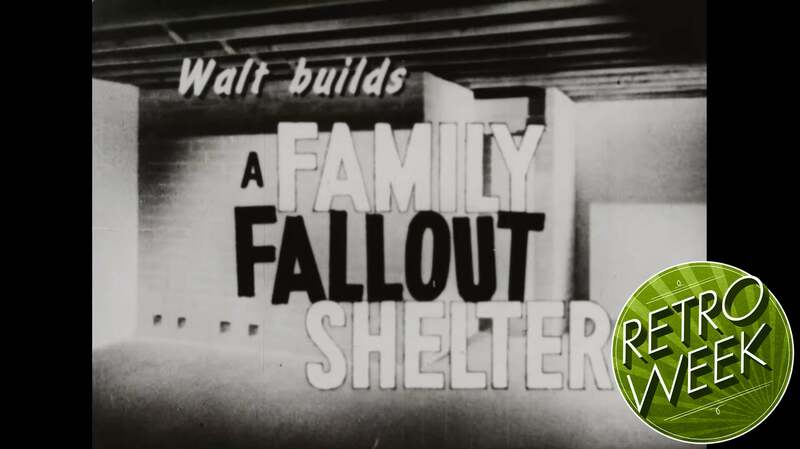 To see what materials you'll need and to help you follow along with the video, you can use this Family Fallout Shelter Bulletin that was released at the same time. Once built, Walt says you can live in it comfortably for at least two weeks, which is probably plenty of time to avoid nuclear fallout (assuming the world hasn't been completely blown to smithereens). Just be sure to stock it well with food, clean water, fresh clothes, and something you can use as a toilet. It's hard to say how effective this type of shelter would really be during and after a blast — there are a lot of variables at play — but if it's built in a basement as suggested, it should be fairly safe. I'd love to say we don't need things like this in our homes any more, but the threat of nuclear war seems to be just as realistic as it was during the height of the Cold War. Prepare for the worst, get your family in the know, and be safe out there.